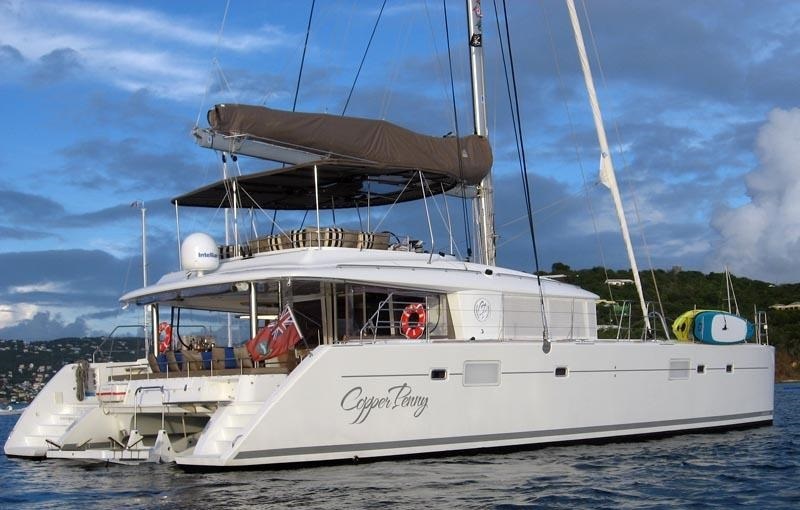 Sailing catamaran COPPER PENNY was built in 2011 by the well-known French shipyard Lagoon. 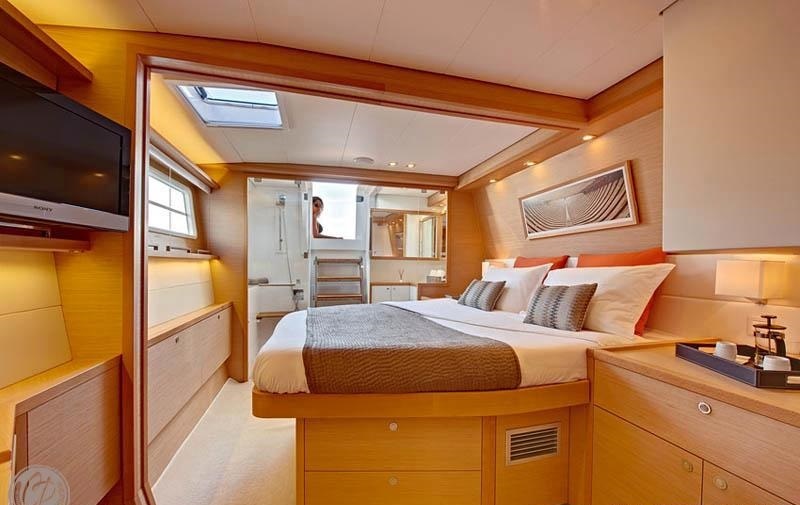 Measuring 17m (56ft), the spacious crewed charter yacht offers accommodation for up to 6 guests in 3 double, en-suite cabins. 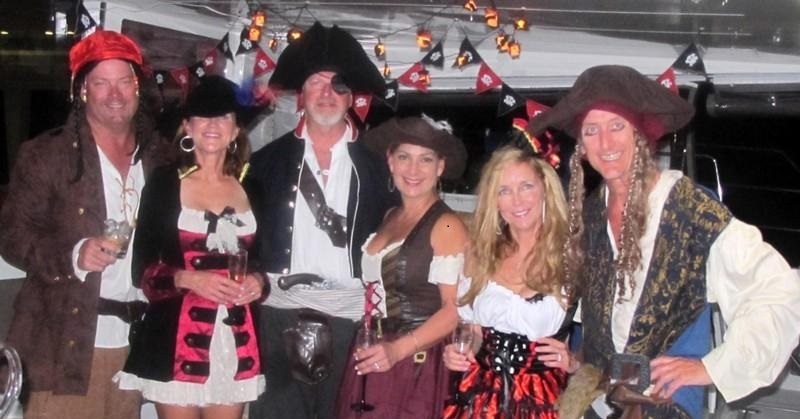 Charter yacht COPPER PENNY is available in the Caribbean and is based in the idyllic British Virgin Islands, year round. 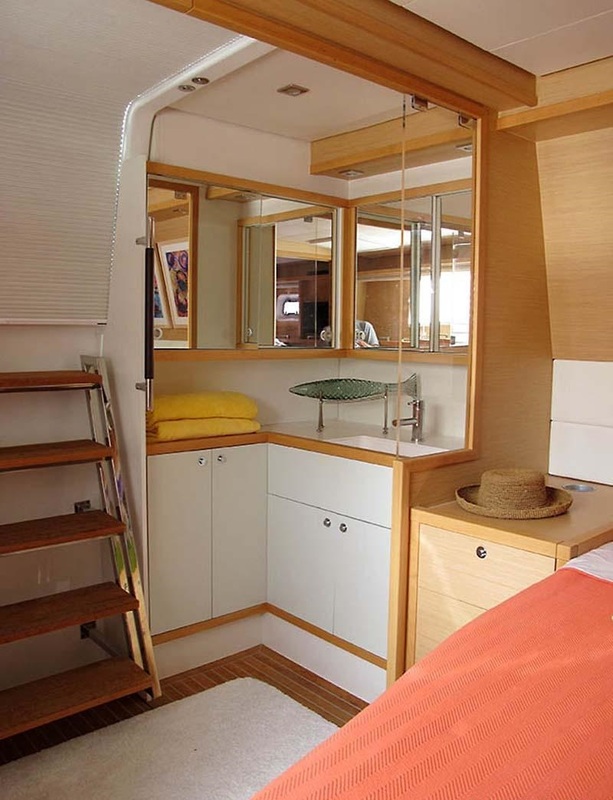 Crewed Caribbean sailing catamaran COPPER PENNY has a spacious airy interior, featuring light oak wood panels, rich dark wood floors and neutral wheat toned soft furnishings. 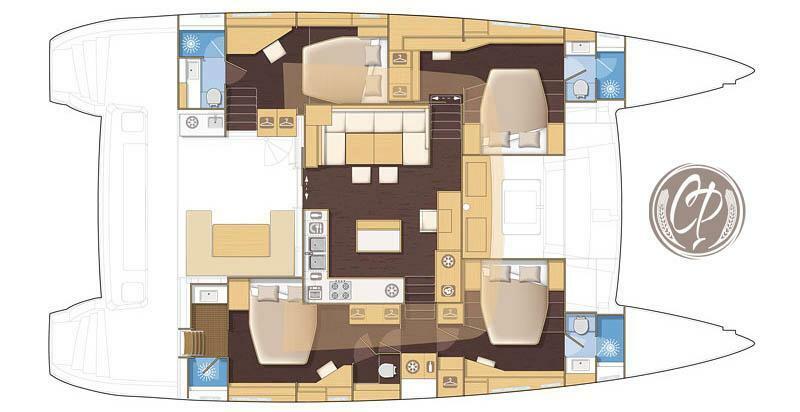 The salon and dining is an integrated plan, with the formal dining and lounge on the port side, with an adjustable table, large seating area and full entertainment center. 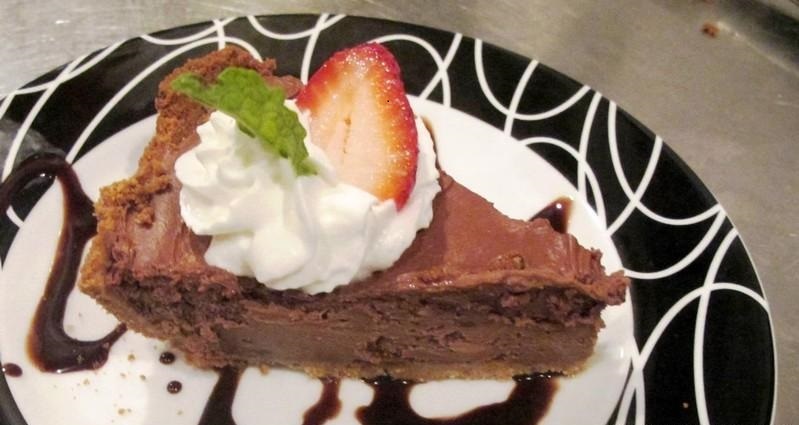 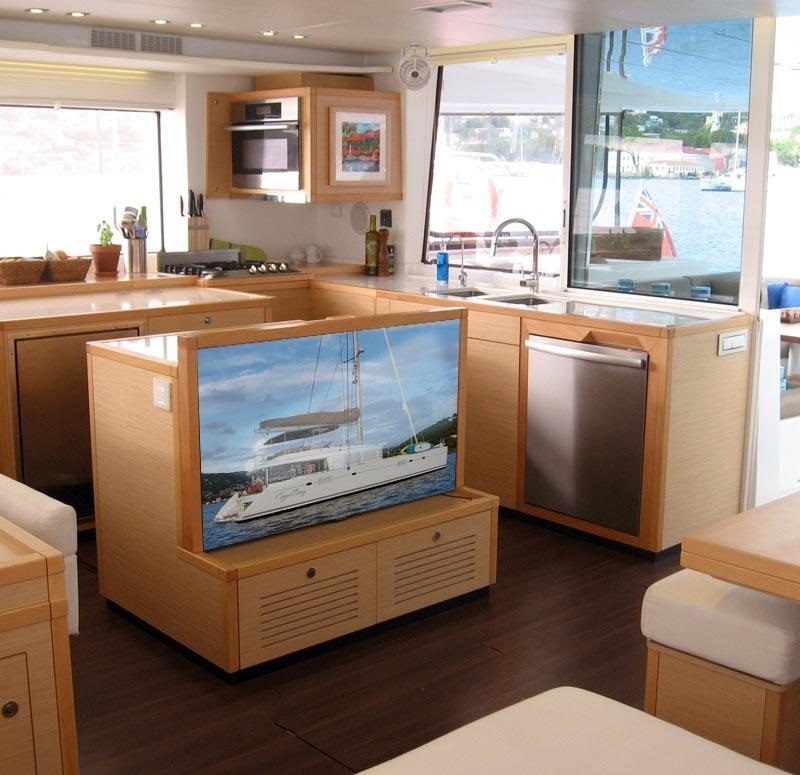 To starboard, the open galley creates a welcome and social atmosphere. Surrounding vertical windows allow for ample natural light, unrivaled views and optimal space. 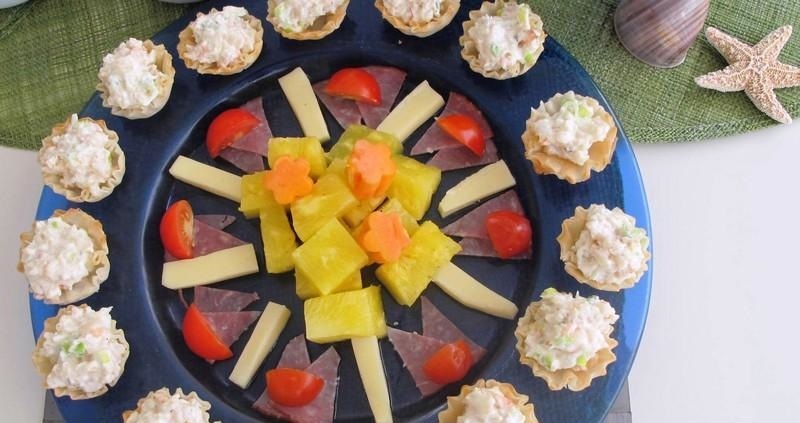 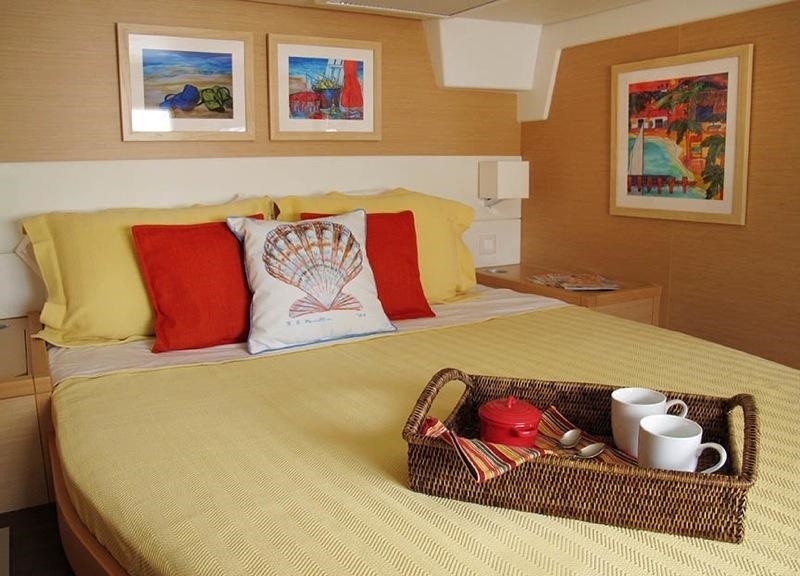 Guest accommodation is in both the port and starboard hulls, in 3 en-suite double cabins. 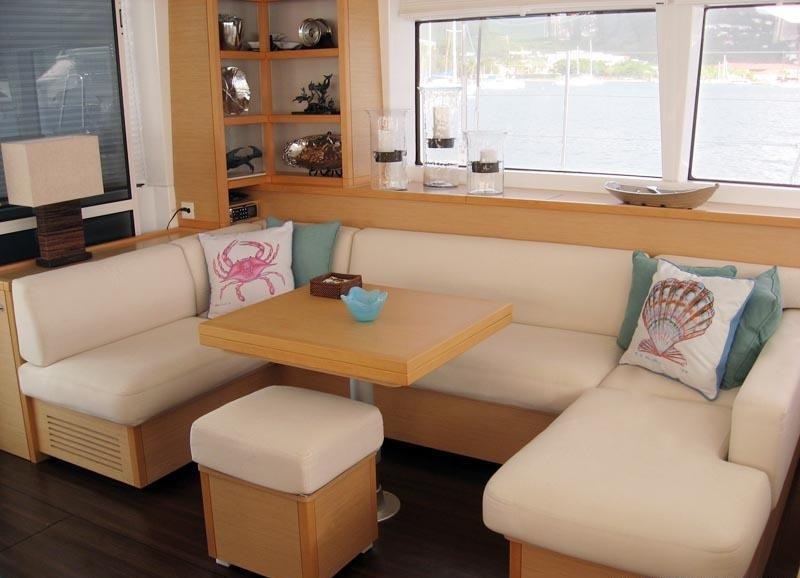 S/Y COPPER PENNY is ideal for a Tropical sailing vacation, thanks to the abundance of exterior living areas. 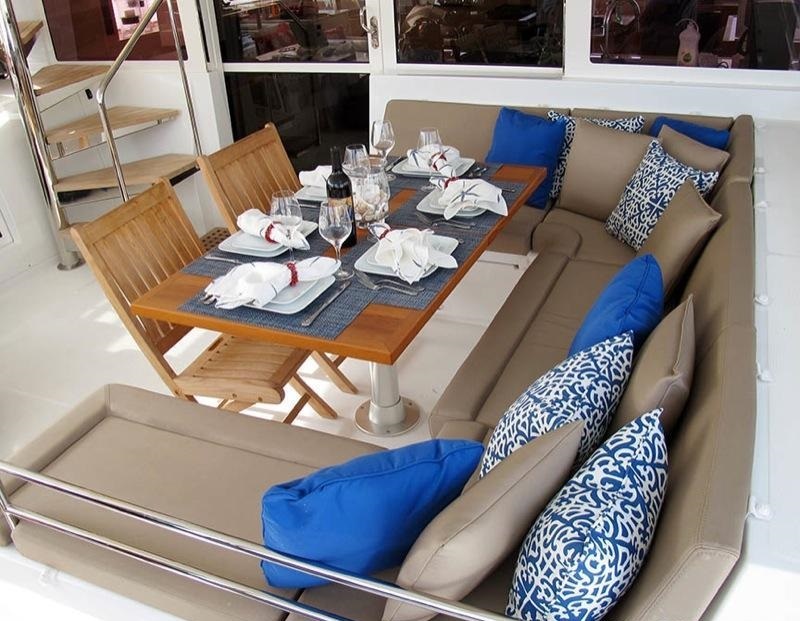 The aft deck is adjacent to the salon with shade, an alfresco dining option and plenty of seating. 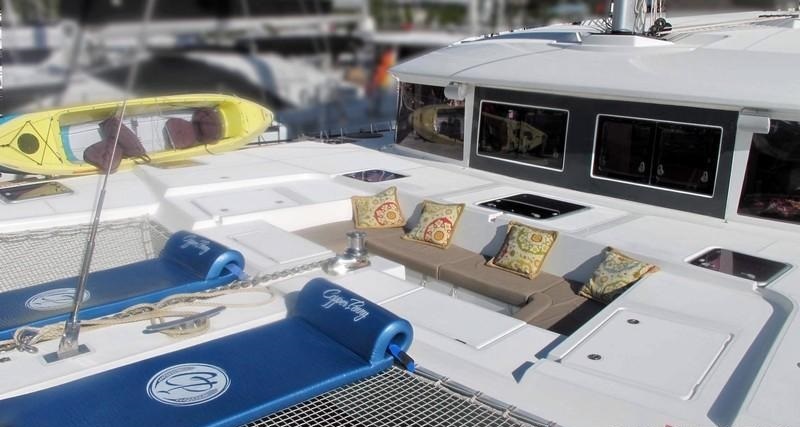 Further aft, 2 wide transoms give easy water access, while a unique drop down center platform is great for sunning and water sports action. 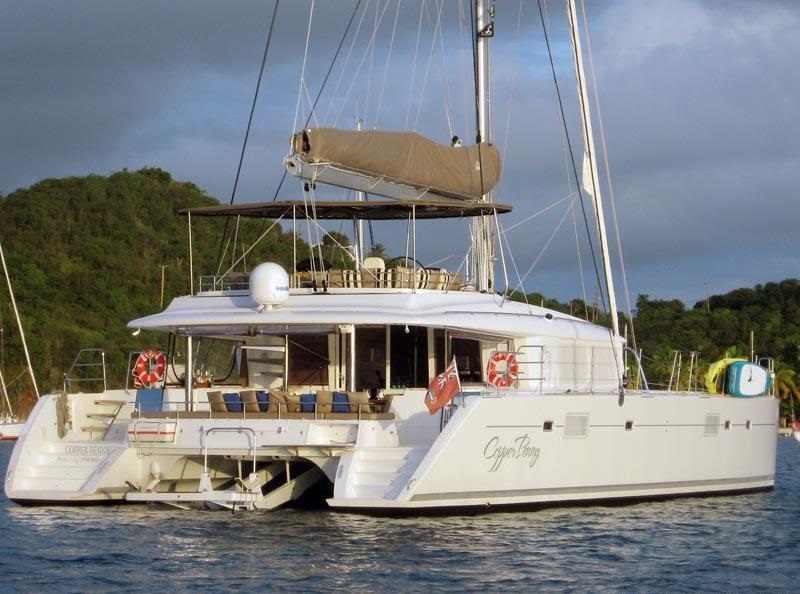 Sailing yacht COPPER PENNY has a beam of 9.45m (31ft), her ample side decks lead to a generous foredeck, complete with dual safety trampolines and relaxing guest cockpit. 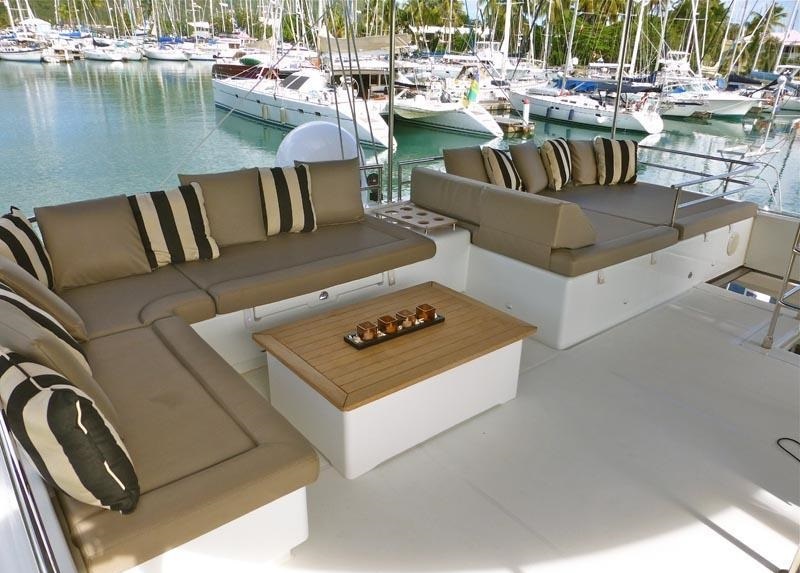 Above the main deck, the COPPER PENNY catamaran offers a partially shaded flybridge with seating, sunpads and scenic vistas, ideal for enjoying the sailing by day and sundowners in the evening. 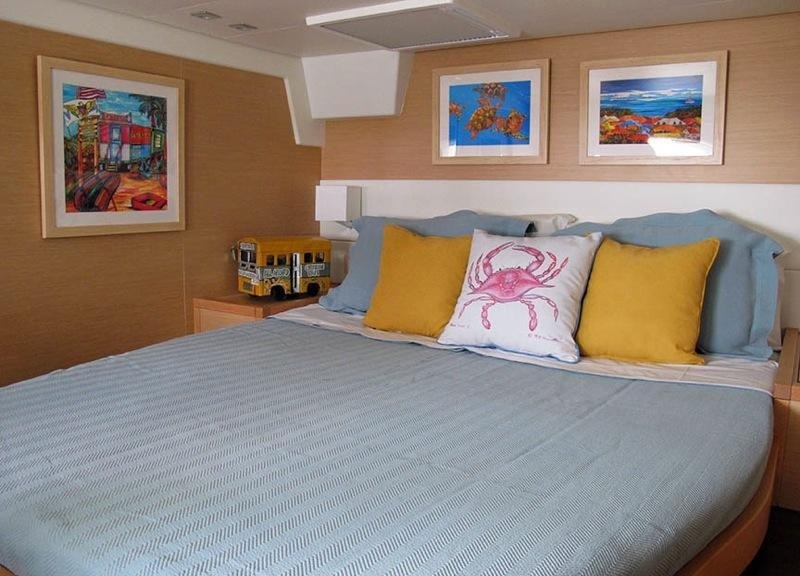 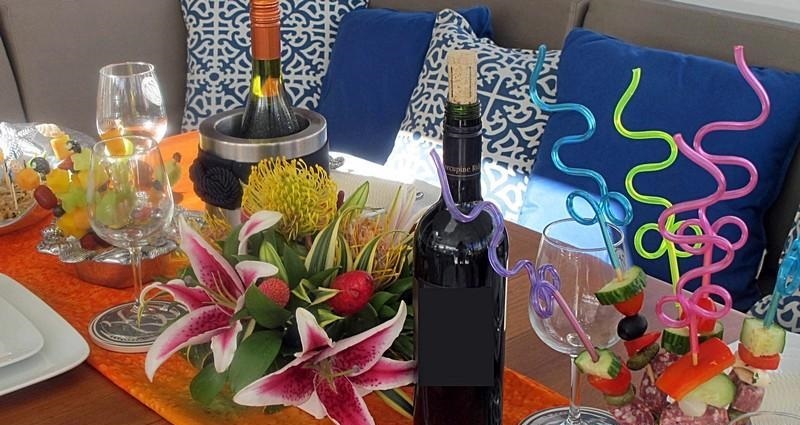 Yacht COPPER PENNY offers accommodation in 3 en-suite cabins, each cabin has a queen size bed, full air conditioning, a serene and tasteful décor and ample natural light. 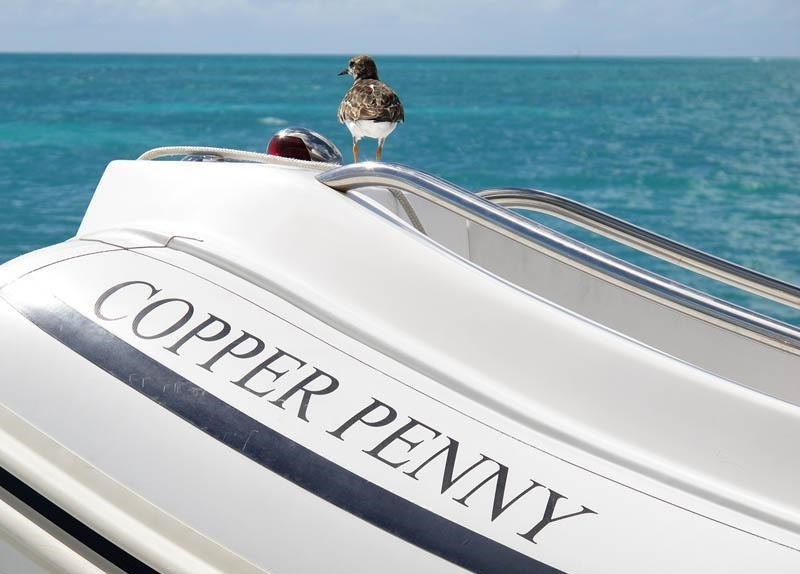 The COPPER PENNY yacht has a Dinghy: Hard Bottom / 14ft 0in (4.2m) / 60HP, CD library, DVD library, Blu-Ray player, Satellite television, Fishing equipment, IPod Dock, DVD player, Stereo system, Media Hard Drive, Air bed, Wakeboard, Child water-skis, Kneeboard, Adult water-skis, Towing ring, 2 Stand-Up Paddle Boards, 2 Blade Fish, Air-conditioned: Fully, Deck shower, Barbeque, Voltage: 110v, Swim platform, Cell phone, Wi-Fi and Internet, SATCOM, Yacht is insured for diving, Guest must be certified, Snorkelling gear, Crew certification: Dive master, 9 scuba tanks, Underwater camera - Still, At least one crew member is a certified diver, 6 BCs, Diving from Yacht permitted, 6 regulators.